has the Theatre within five minutes walk. There is a large free car park which is shared with The Mill Pub. However it does have it's own entrance and once inside you feel like you could be in a separate building. Whilst sitting at my table i enjoyed the bustling atmosphere and chatter of the guests which mixed with the background music perfectly, neither had to fight to be heard. Recently, totally refurbished to a very high standard both in the restaurant as well as the kitchen and bar, the decor whilst not strictly traditionally Italian is, warm and welcoming with soft reds, mauves and other shades along with beautiful black slate and wooden floors. The restaurant will cater for around 70 guests with a couple of nicely secluded intimate areas too. The menu is changing too. Along with Chef, Alex as you'd expect is passionate about his food and this shines through in the menu. It is not too extensive as to make choosing difficult but has some beautifully thought out dishes. Also catering for Specials both at Lunchtime and Dinner, there really is something uniquely authentic about there choices and they offer something for everyone. Amazing food and staff were very helpful..
Great meal. Service and staff excellent. 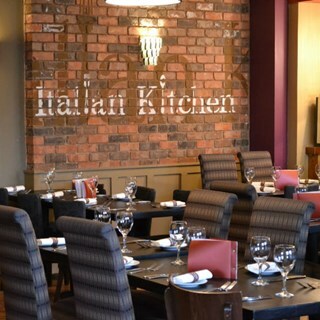 Fantastic Italian restaurant with warm friendly staff. They are able to cater for a large number of people at once. Would highly recommend. Very busy, booking was for 6 and we're told they would need table back for 7.30, however had not been asked about deserts by this time so had to get to go. Ordered steak for main and not impressed with it,  no searing on it and tasted more boiled than fried. Very little parking so struggled with this also. A BIG THANK YOU to kitchen and waiting staff, we love this place. The food is amazing, and cant believe how quick your meal is served. It was our 30th wedding anniversary, and thoroughly enjoyed every minute spent. Thank you again for the lovely food and service. Fabulous evening. Attentive waitress/waiter, food was excellent with limited wait between courses. Will definitely be back. Food was lovely and huge pizzas. Had to take half home. It was our sons birthday and the ice cream with a candle in was a lovely surprise as was everyone singing happy birthday for him. Really enjoyed the occasion. Food was outstanding, full of flavour and portion sizes just right. Asked for a smaller portion of pasta and got exactly that and it was just the right size for me. Atmosphere was very friendly and warm. Will be returning. The service and food quality is always of a very high standard every time we visit. Had a family get together/meal March ‘19, excellent atmosphere, food, service and value for money. Would highly recommend. Definitely visit again. I enjoyed my first visit to Italian Kitchen tonight following several recommendations. Lovely food in a lively welcoming atmosphere. Service was prompt, good value for money with friendly and attentive. Thank you. Food was amazing especially the cheesecake! An excellently run establishment, food is excellent and great value. Staff are pleasant and efficient. We will continue to frequent this great restaurant.